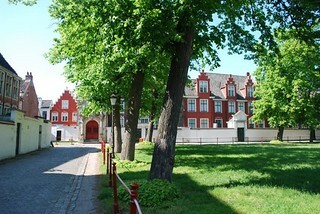 Tucked away on the outskirts of the medieval city center, lays the wonderful 'OLV-Ter Hoye' Unesco beguinage. 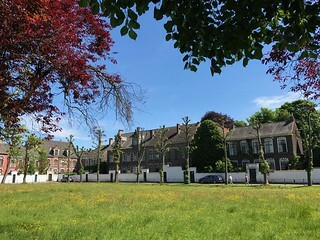 Once a stronghold for the illustrious 'beguines', it is now inhabited by residents of all walks of life, all attracted by the unique character the beguinage offers. The moment you enter the gate of this enclosed village within the city, you will be overthrown by its charm, its peace and quietness, its history. No wonder the UNESCO has recognized it as world heritage! 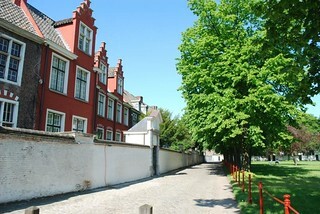 Ghent-Authentic offers a relaxing 'behind the scenes' visit of the beguinage. During this 3 hour program, we explore its rich history, its art and architecture as well as its little bits and pieces that makes it truly unique. 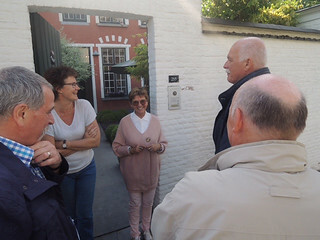 On top of that we have the privilige to visit two of its current residents who are eager to share not only their passion for the beguinage but also their homes as well as a well-deserved glass of sparkling wine! Price: € 25,00/p (min. 15p, max 20p), including Ghent-Authentic private guide & a glass of sparkling wine! It is highly recommended to book this tour well enough in advance.